Playing with color is always exciting and fun. 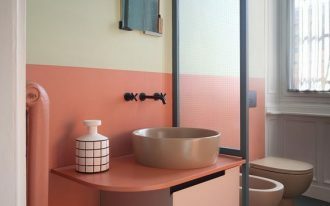 And when you’re renovating you house, playing with the color wall might be as much fun. However, color is not the only way to play with your wall. You can also play with patter and texture also. Giving accent to walls will make your room different, lively, and fun. Let’s dig in! 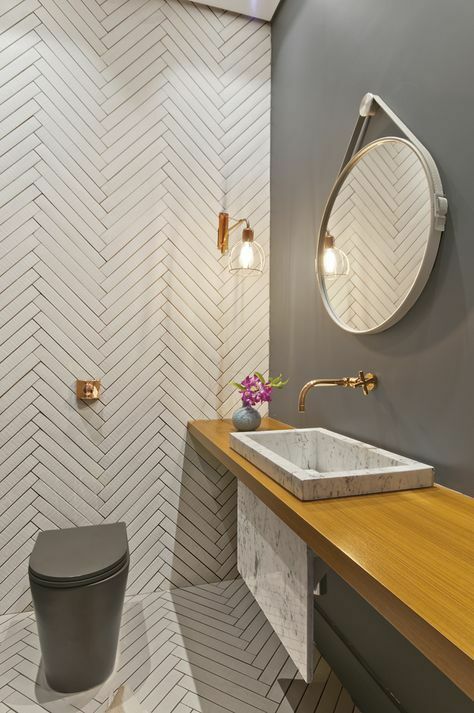 In this beautiful bathroom, you can see the play in the wall that also includes the floor. 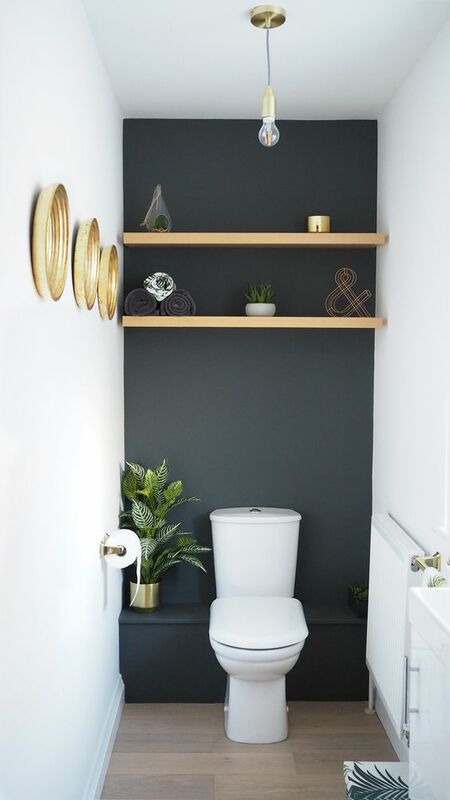 With white weave on the wall that continue to the wall, the bathroom is unique not only because it’s uncommon pattern to have in bathroom but also it makes the plain grey wall be the accent wall. 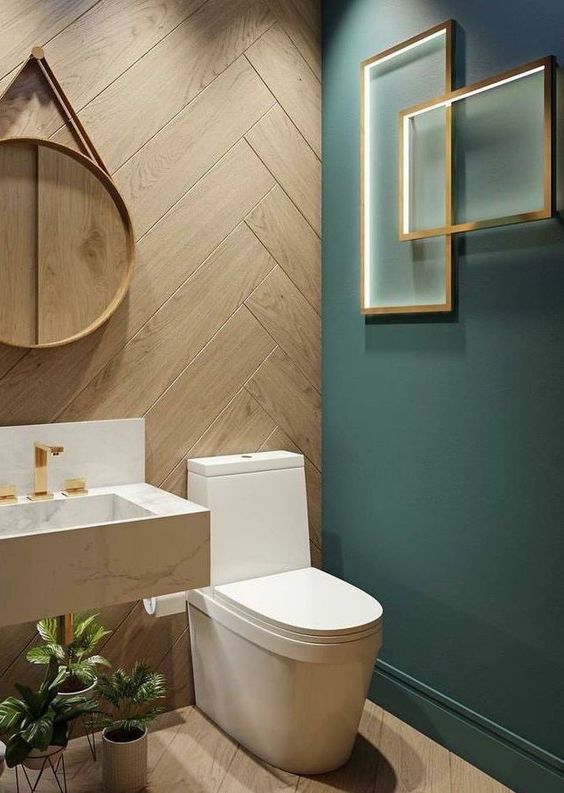 The composition of the room itself is really beautiful with grayish color of the tiles match perfectly with the plain grey of the wall, the sink, and the toilet. Similar to the previous one, this one too has a plain painted wall as an accent to the wooden wall and floor. 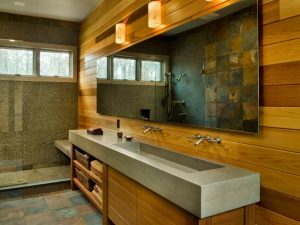 Because of the total difference on both color and texture, this accent really brings out the difference and it makes the bathroom unique and modern. 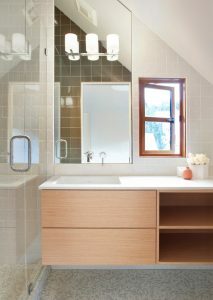 This one here in the picture shows a brick accent among the grey walls that also continue to the bathroom. With all grey surrounding, the open brick effect really gives it all out. 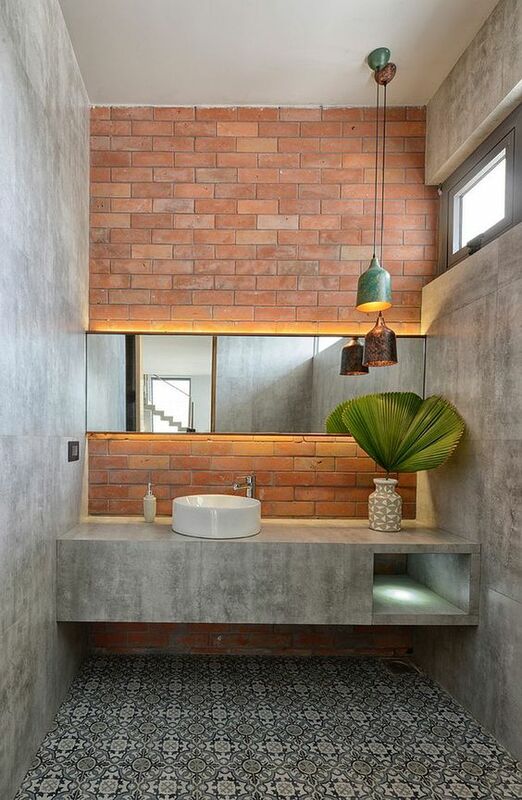 In this super minimalist bathroom, the brick really brings out the modern feeling out of it. 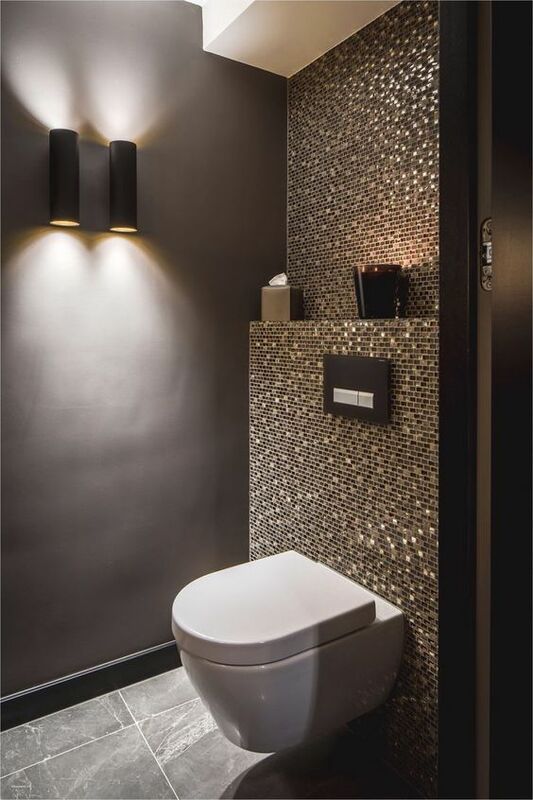 While the previous one has open brick accent, this one here has sparkling glow that comes from the back of the toilet. 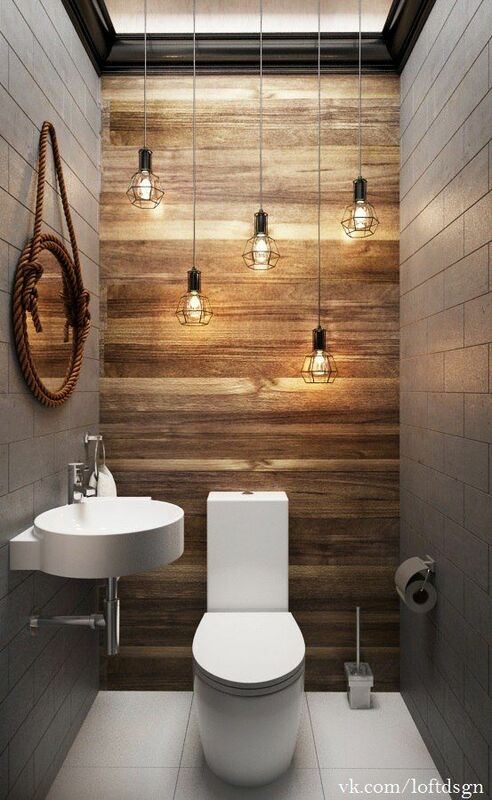 This glow gives light playing to the bathroom with plain grey wall and floor. 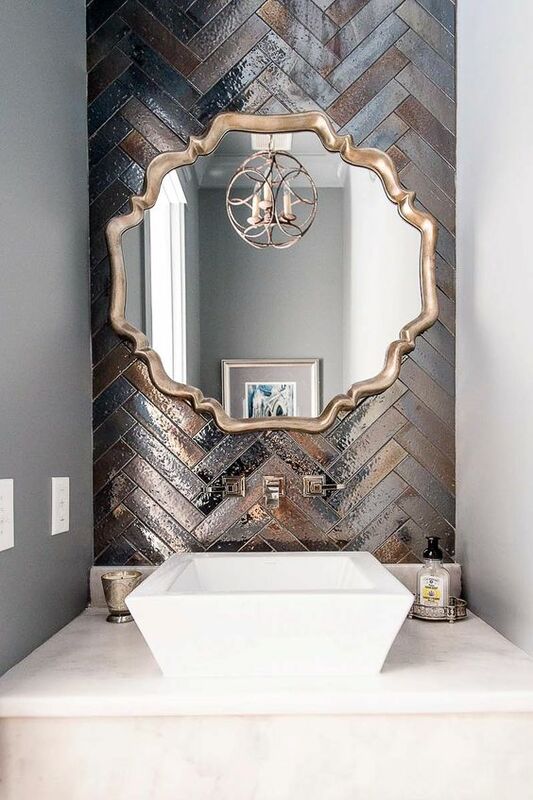 If you’re looking for another textured sparkling tiles for accent walls, this kind of weave might fall into your favorite. Similar with the previous pattern, this one also has weaving pattern but with golden chopper glow on the color. With this tiles, you will be able to have the elegance feeling. In this bathroom here, we can see that the bathroom is small and long. Mostly the wall is in white and that is understandable because white makes cleaner and wide effect on a small room. But the dark accent wall on the back of the toilet doesn’t make it failed even though it’s not white. On the contrary, it creates deep effect of the bathroom. 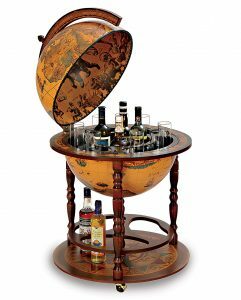 Different from the previous one, this one here has accent of wood. 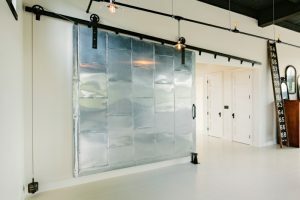 Instead of only the painted wall, this one has texture. And as it completely different from the gloss smooth surface of tiles on its surrounding, it brings fresh effect. 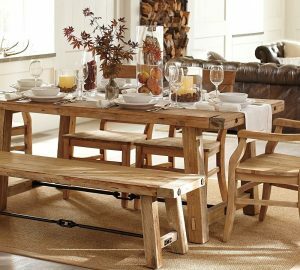 The wood accent gives natural feeling strongly. 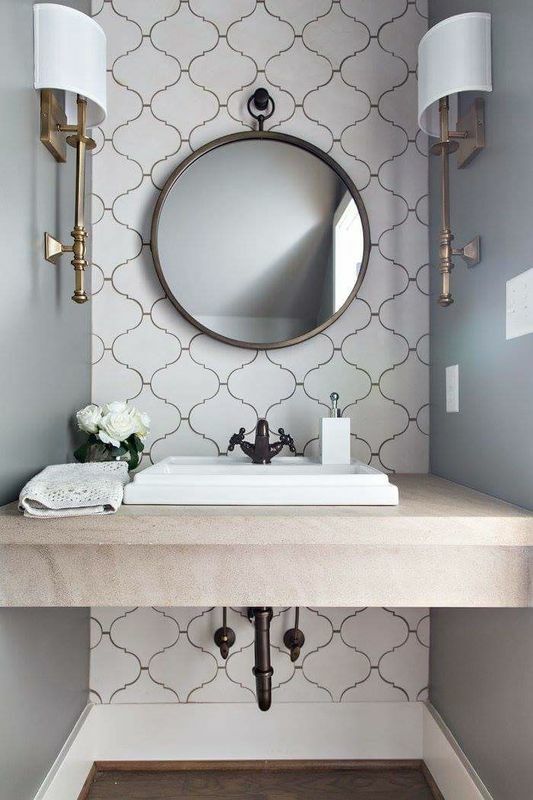 The lighting fixture and mirror match perfectly well. Similar to the previous one, this one here too has wooden accent. 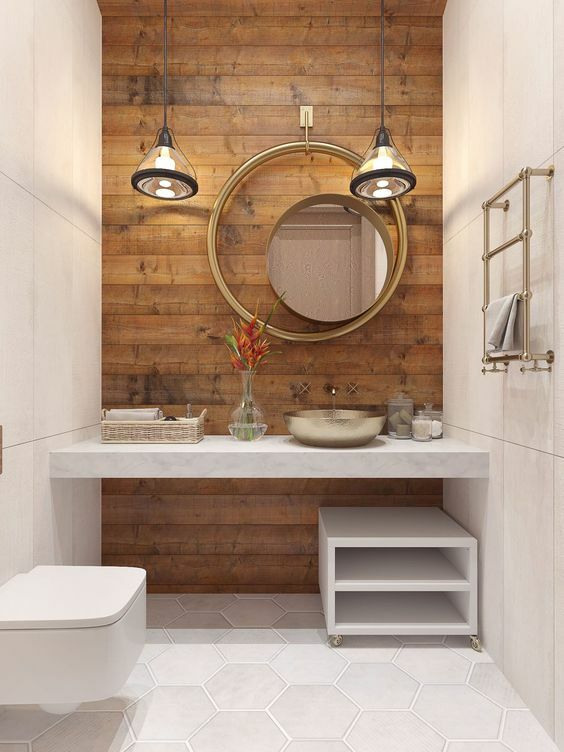 It also has the white color surrounding the wood accent and has the similar golden light lingering on the wood walls. Clearly, this kind of set is a favorite. While the previous ones have patterned and textured accent wall, this one here even though it’s patterned, the texture is quite the same with the surrounding wall. This is probably one of the easiest to do. All you need to do is putting wallpaper to create different effect. This one here is an accent from shower area of the bathroom. 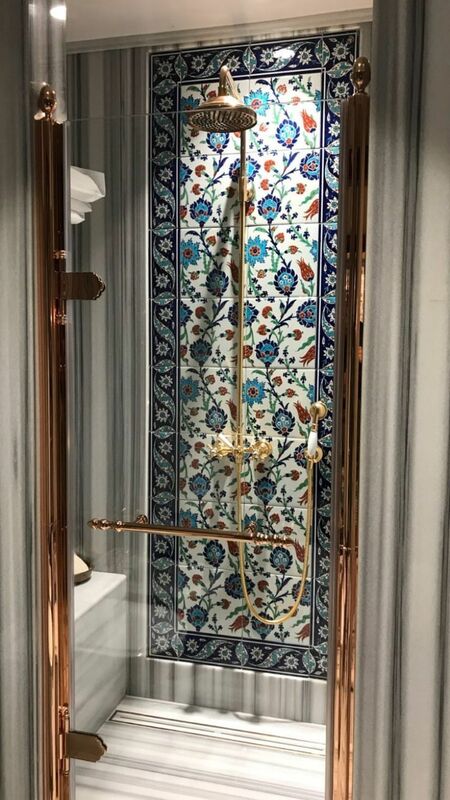 As you can see, the surrounding is grey stripes tiles while the accent tiles are blue flowery pattern beautifully set on the shower head. This makes the room looks fresh and more flowery than without the flower accent.